There is a sense of nervous tension outside the ExCeL centre in London's east end. It is the first day of the Defence Systems and Equipment International (DSEI) exhibition – otherwise known as the world's largest arms fair – and a huge line of predominantly middle-aged men in suits are queuing to get inside. Some of them are arms dealers, others government representatives and intelligence agents. Scarcely a word is spoken as we shuffle slowly forwards. Police radios puncture the silence, beeping on and off as burly-looking security guards patrol intently. Through a set of glass doors and beyond airport-like security scanners are two massive, 145,000 square-feet halls split by a long corridor, dominated on either side by shops and cafes. Delegates from some of the 65 countries in attendance sit enjoying breakfast next to a giant tank, its rooftop gun revolving in circles – much to the approval of passers-by, who point and take photographs. The two main exhibition halls have previously hosted concerts by Roxy Music, Alice Cooper and UB40. But today they are crammed with around 1300 exhibits, selling guns, bombs and the latest in security technology. A handful of stalls are devoted to life-saving equipment. Most of the space, however, is reserved for displays featuring 100lb hellfire missiles, AK47 rifles, stealth tanks and even gold-plated handguns. The quiet dissipates and is replaced by the sound of chatter. Business cards change hands, and multi-million pound contracts are being negotiated. At a large stand run by the defence arm of SAAB, a Swedish company more renowned for its cars, Håkan Kappelin is showing off a laser-guided missile system to delegates from India. It has a range of 8km and can travel at speeds of up to 680 metres per second. "It could be deployed inside a city like London. And you can engage any type of target," he says. "Not like when you use an infra-red system, where you have problems with houses in the background. 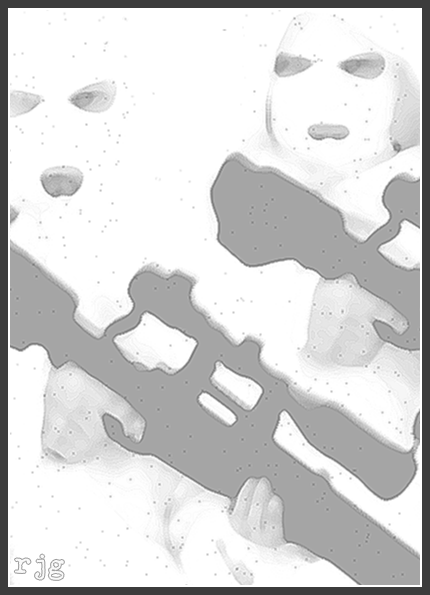 Just reload in five seconds and engage the next target." The delegates nod approvingly. "680 metres per second," one repeats to another. Upstairs, in a briefing room, Defence Secretary Liam Fox delivers a speech. Anti-arms campaigners have levelled criticism against the government for doing deals with Bahrain and Saudi Arabia in the aftermath of crackdowns on protesters across the Arab world. Fox is dismissive. "I am proud that the UK is the second biggest defence exporter in the world," he says. "This is fundamental part of the coalition government's agenda for economic growth, but it is also part of our strategy of enlightened international engagement." Back on the exhibition floor, the atmosphere is carefree. A tall Arab man dressed in a pristine white Thawb, and protected by a circle of six bodyguards, is treated like a celebrity at a stand offering intelligence and surveillance systems, made by German company Cassidian. Gold buckles on his brown leather sandals sparkle in the light; people walking by stop and stare. "I think he's a Saudi prince," one says. Nearby, two glamour models, Rosie Jones and Charlotte McKenna, joke and flirt as they sign copies of a "Hotshots" calendar in which they are pictured, scantily clad, wielding various pistols and rifles. Next to stalls selling vicious-looking machine guns, gas masks and chemical suits for use in the event of a biological weapons attack, free massages are on offer and delegates eat canapés washed down with glasses of sparkling wine. The prevailing opinion among the delegates and exhibitors is that they are in the business to bring security to the world – they deny claims made by campaign groups that they are peddlers of death. A representative from Pakistan's exhibit, Major Ali Asghar Mushtaq, says his country is here selling weapons to help bring about a more peaceful world. "The aim of Pakistan's army is that everything manufactured and sold should not be for killing and terror activities," he says. "It should bring peace on the whole world, not wars." Does he really believe manufacturing arms en masse will help bring about peace? "It's obvious," he says. "Once one country and the other country both have weapons, no one is going to use the weapons against each other. So there will be more stability." Later, Major Mushtaq and his colleagues are removed from the exhibition after it is discovered they are advertising cluster bombs banned under UK law. But his viewpoint lingers. The South African exhibit on the other side of the hall boasts that it is "securing a peaceful future through high technology defence equipment," and Condor, a Brazilian company that supplied teargas and rubber bullets used against protesters in Bahrain, says it is committed to the "reduction of violence through gradual use of force." These apparent paradoxes litter the hall. The lavish consumption of food and drink sits awkwardly with the sale of gleaming weapons that are ultimately used to kill and maim. And the talk of security attained through the mass production of arms is reminiscent of George Orwell's dystopian nightmare in Nineteen Eighty-Four, where peace is itself a state of perpetual war. Walking around the exhibition, it is difficult not to recall US president Dwight Eisenhower's famous 1961 farewell address, during which he warned against the perils of an "immense military establishment and a large arms industry." Although there is an imperative need for the industry to develop, Eisenhower said, it has "grave implications" for the "very structure of our society." Government officials today are keen to point out that last year defence exports generated revenues of more than £22 billion for UK industry. A question Eisenhower might have urged us to ask is: at what cost? Leaving the ExCeL centre, police officers advise anyone wearing a DSEI pass to conceal it from view. "There are protesters about and they might not like where you've been," one warns. We take a specially ordered train from the stop outside ExCeL to nearby Canning Town, where the arms traders, weapons makers and other defence industry insiders join a crowd of rush hour commuters. Just another bunch of men in suits, they disappear into the night. A wave of revolution across the Middle East and north Africa this year has left tyrants and dictators clinging to the power they once took for granted. Citizens of countries including Tunisia, Egypt, Libya, Bahrain and Syria have taken to the streets and in some cases fought and died in an attempt to overthrow their rulers. But as Britain has offered its support to the newfound freedom fighters, some have made accusations of hypocrisy. After all, like many other western nations, the UK has been doing business with authoritarian regimes in the Arab world for decades. Little is known about the true extent of the relationship the UK has maintained with dictators and autocrats across the region. However, as the old regimes crumble, details have begun to slowly emerge. Last week the organisation Human Rights Watch released documents it discovered in Libya, revealing that UK intelligence agency MI6 collaborated with Muammar Gaddafi's security services to transport terror suspects to Libya for interrogation, where they were allegedly subjected to torture. MI6 continues to deny involvement, though the secret documents paint an altogether different picture. Amid the uprising in Egypt earlier this year, protesters made a similarly shocking find. After ransacking a government intelligence agency headquarters in Cairo, they unearthed hidden underground interrogation cells, evidence of torture, and a stockpile of documents that outlined a paranoid government programme of industrial-scale mass surveillance. Most controversially, among the many files was a letter from an English, Andover-based IT-security company, dated June 2010, offering to sell Egyptian authorities spy technology that would enable them to intercept dissidents’ emails, record audio and video chats, and take copies of computer hard drives. Many similar products, manufactured in western countries, are believed to be widely available to Arab governments facing uprising. An extensive recent investigation conducted by the Bloomberg news agency, for instance, found that Trovicor, a German company with links to Siemens and Nokia, had supplied “monitoring centres” to at least twelve Middle Eastern and north African nations. Such technology is used by governments around the world, including in the UK. However its use in most western countries is strictly regulated and can only be used when authorities have grounds to believe it could help prevent or detect a crime. 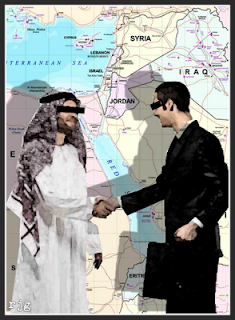 Authoritarian regimes in the Middle East do not have the same regulatory framework, though this does not restrict western firms such as Gamma International and Trovicor from selling them their products. Since the discovery of documents showing British and other European companies had either offered or sold intrusive spy technology to regimes across the Middle East and north Africa, a group of concerned European politicians has taken action. Six MEP’s including Baroness Sarah Ludford, Liberal Democrat MEP for London, made a joint request to the EU’s head of foreign policy calling for a decision on whether European companies contributed to human rights violations in countries including Tunisia, Bahrain, Egypt and Syria. According to Dr Andrea Teti, a specialist in international security at Aberdeen University, it is not possible to stop surveillance systems from being used for repressive purposes unless firm new legislation is implemented, controlling the countries to which it is exported. Through the course of the Arab Spring the murky world of mass surveillance has undoubtedly been exposed by the fracture of once intensely secretive regimes. But important questions have also been raised about the UK’s role in arming state forces responsible for brutally repressing protests across the region. In February the Foreign Office said it was conducting an “immediate and rapid review” of all UK arms export licences to affected countries. Between February and June, however, arms sales to Libya, Bahrain and Saudi Arabia totalled over £30m – 30 per cent more than for the same period in 2010. Weapons exported included sniper rifles, shotguns and submachine guns, according to an investigation by The Times. The government has since blocked the export of arms to Libya and Syria as part of an EU embargo, and also revoked a number of military export licences to Bahrain. But Oliver Sprague, director of human rights group Amnesty International’s UK arms control programme, said it was a case of “closing the stable door after the horse had bolted,” and called for tighter regulations. This article first appeared in issue no.893 of the Big Issue in the North. Banks urged to end loans for cluster bomb makers, Big Issue in the North, August 29 2011. University staff asked to inform on 'vulnerable' Muslim students, the Guardian, August 29 2011. Facebook faces up to new privacy row, Big Issue in the North, August 22 2011. Phone hacking survey & the role of investigative journalism, Frontline Club, August 19 2011. New police riot powers would be 'unenforcable', Big Issue in the North, August 15 2011. UK authorities should not be given a communication 'killswitch', openDemocracy, August 11 2011. Campaigners gear up to oppose fracking in the UK, Big Issue in the North issue, August 8 2011. Police forces come together to create new regional surveillance units, the Guardian, July 25 2011.